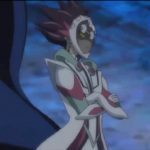 Revolver is the leader of the Knights of Hanoi, a mysterious hacker group that hacks via Dueling inside LINK VRAINS. 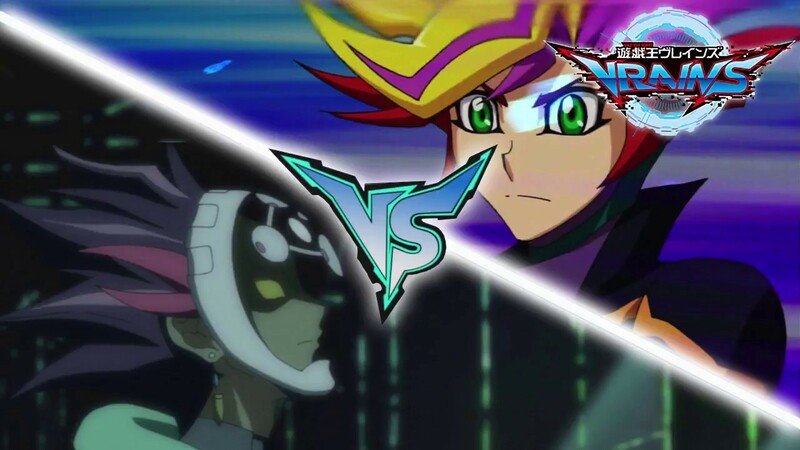 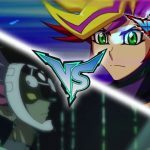 While in LINK VRAINS, Revolver is a tan-skinned man with yellow eyes without irises or pupils, and black hair with orange and red highlights. 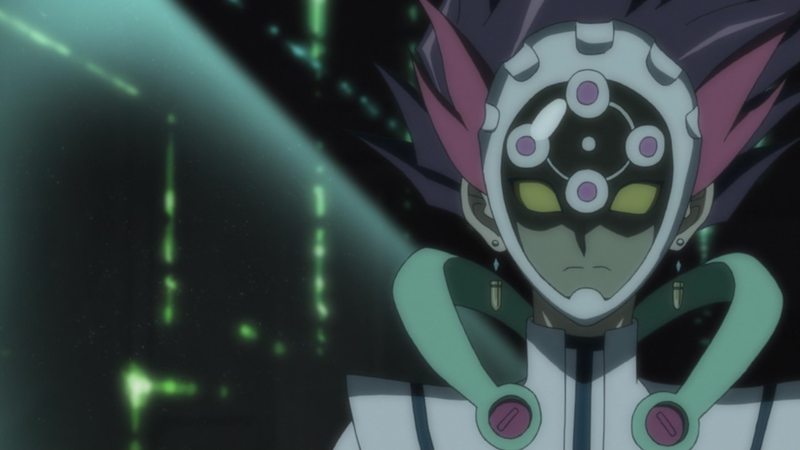 His ears are pierced with Egyptian-style earrings with a blue crystal and an elongated gold triangular prism. 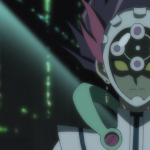 He wears a mask with yellow glass and a white casing with a diamond-shaped pattern of white dots with red centers, linked together by a white circle that surround a white dot in the center of his forehead. 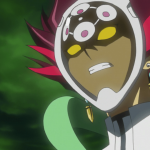 Revolver wears a white jumpsuit with a black elongated “T” shape tracing to the bottom of his chest, red ovals overlaying black ovals on the sides of the torso, and a v-shaped line of green where a belt would be. 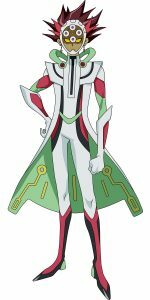 He wears a white trench coat lined with green with golden lines patterning both the inside and the outside of the coat. 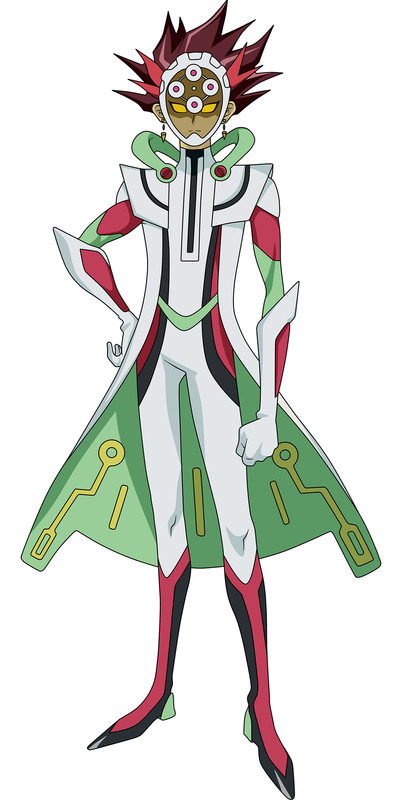 The sleeves are green white shoulder-pads and red diagonal bands on the bicep, making it unclear whether or not they are part of the jumpsuit or the coat. 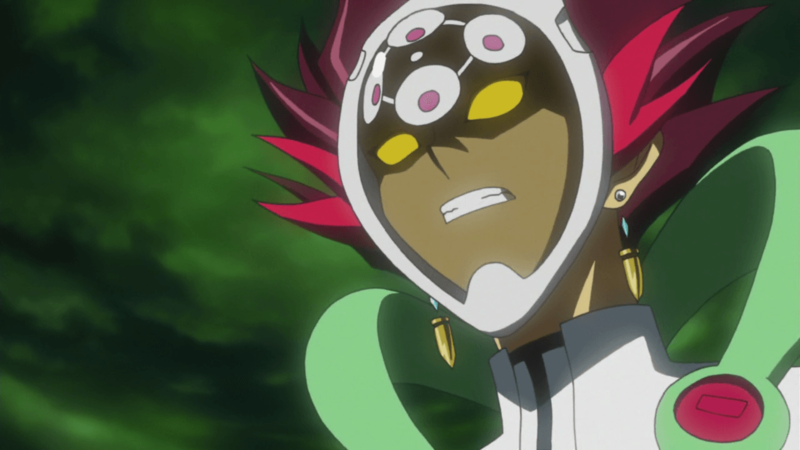 Revolver also wears a small white mantle with a black line tracing around the middle, and a green ornament attached at the front on either side of his neck and at the back by red gems. 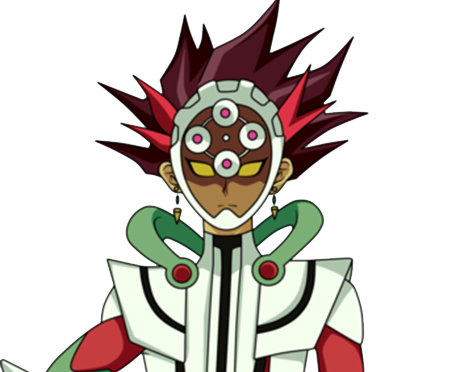 Revolver wears white-elbow length gloves with red diamond shapes on his forearm, and black boots with green heels and red patterns on the front that may be part of his jumpsuit. 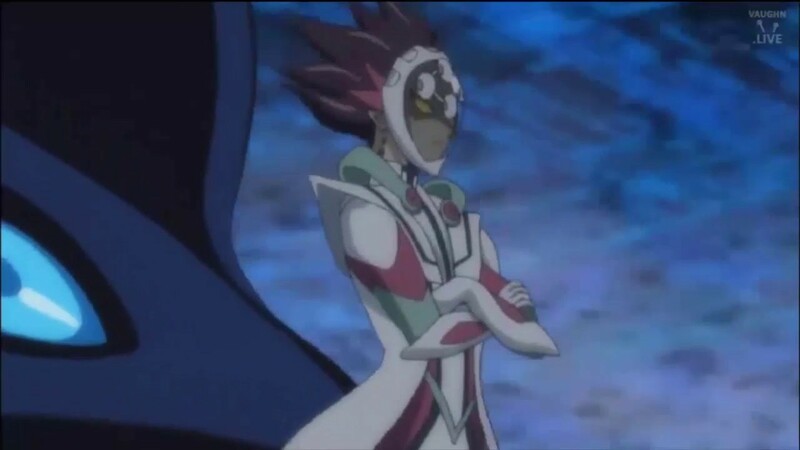 Revolver uses a “vullet” Deck.